While modern technology has found a way to replace and improve so many elements of our lives, there are still some things that are better than any digital version could be. One of those things is the classic bulletin boards. Bulletin boards are versatile tools that can be used in a variety of ways. They are ideal fixtures for every home and office because of their flexibility in both function and style. 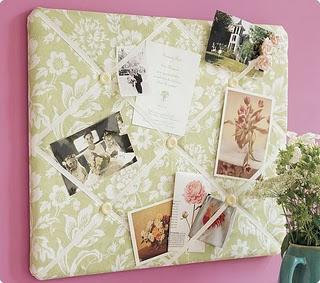 Whether you are a fast-dealing executive or talented homemaker, a bulletin board is a staple tool you can use to organize your tasks, share memories, or brainstorm for the future. One thing that makes bulletin boards so irreplaceable is there tangible nature. The act of pinning items, images, or reminders up and the ability to take them down or move them around is not just an aesthetic gesture, it is a thoughtful one. Arranging items on the board by hand is an extension of your thought process, and the ability to engage in the bulletin board as a work in progress is exactly what makes it so valuable. Swirling images or digital sticky notes around with your finger on a tablet PC or in your SmartPhone just doesn’t compare to the mental experience you get from working with a bulletin board. This experience is why people across so many disciplines work bulletin boards into their daily routines; they enhance creativity and organization in a marked way. Aside from their help in a variety of thought processes, bulletin boards are great because they come in a range of shapes, styles, colors, and designs. This means that you can integrate one seamlessly into the décor and purpose of any room you are in! For the office, there is the classic yellow corkboard design. This square shape comes in sizes ranging from six inches by eight inches up to three feet by four feet and can be adorned with serious silver tacks or the typical office pushpins. In the home, bulletin boards can be effective in project rooms, laundry rooms, or home offices to take care of business. In the kitchen, family room, or bedrooms, bulletin boards covered in fabric can be used as an innovative way to share pictures, awards, good report cards, and school team statistics. While you can buy your own bulletin board, you can also make you own at home very easily. At your local craft store, simply purchase freeform corkboard and a hobby knife and you can shape the corkboard into whatever design you like. Cover it with fabric, a ribbon pattern, glitter, or paint to customize a look that is right for any room or occasion. In our digital world, bulletin boards are an irreplaceable tangible tool that can serve many purposes. Get your thoughts, tasks, or family photos in front of you by using one in your space today! Do you prefer using classic bulletin boards? How have you made yours unique in your home? Edith Rich is a stay-at-home mother of three, and loves doing crafts with her kids, putting together projects and is a self proclaimed collector of Christmas cards. She also loves blogging about crafts!